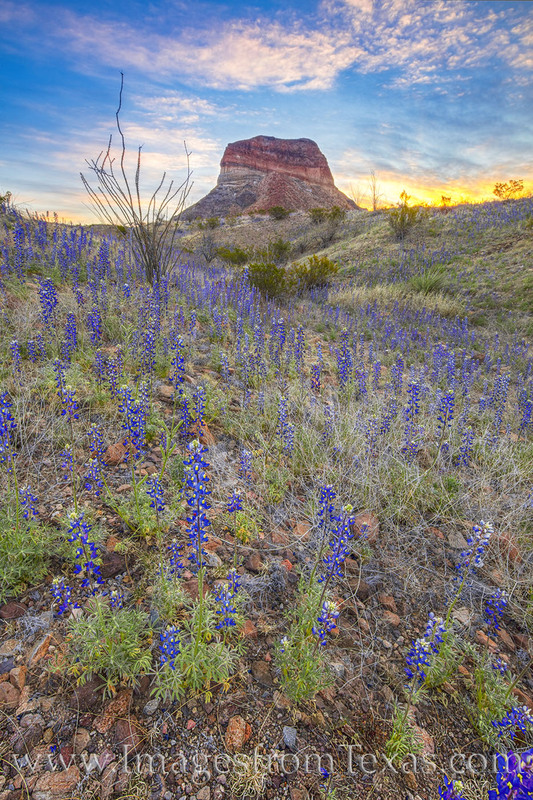 From below the famous landmark, Cerro Castellan, bluebonnets rise to meet the morning light in Big Bend National Park. This photograph was taken on a cold February morning on the western slopes of the Chisos Mountains. It was a beautfiul sunrise, and I saw nary another person for several hours of exploring. Photo © copyright by Rob Greebon.